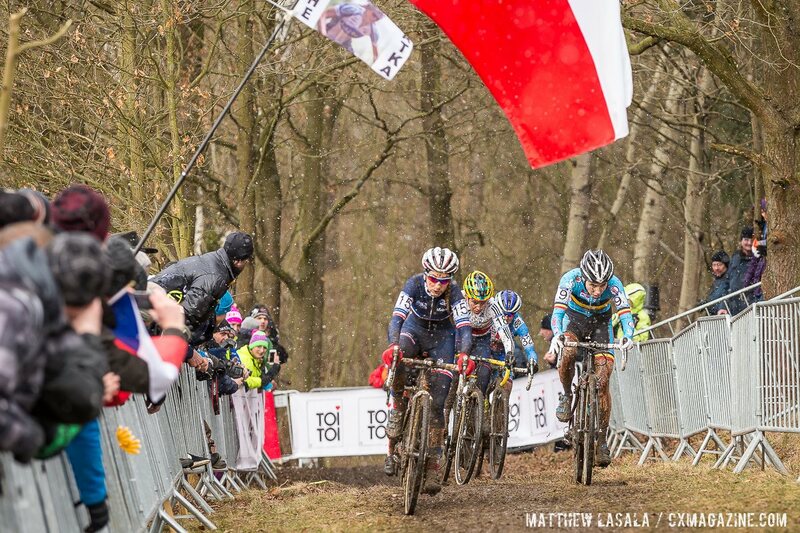 TABOR, Czech Republic – Expectations were high for an exciting day of racing, and the Elite Women did not disappoint as they raced a course that had become far more muddy than the Junior Men’s race only hours before. 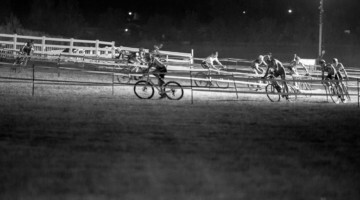 The race delivered the drama with countless lead changes, and five racers in contention with one lap to go. 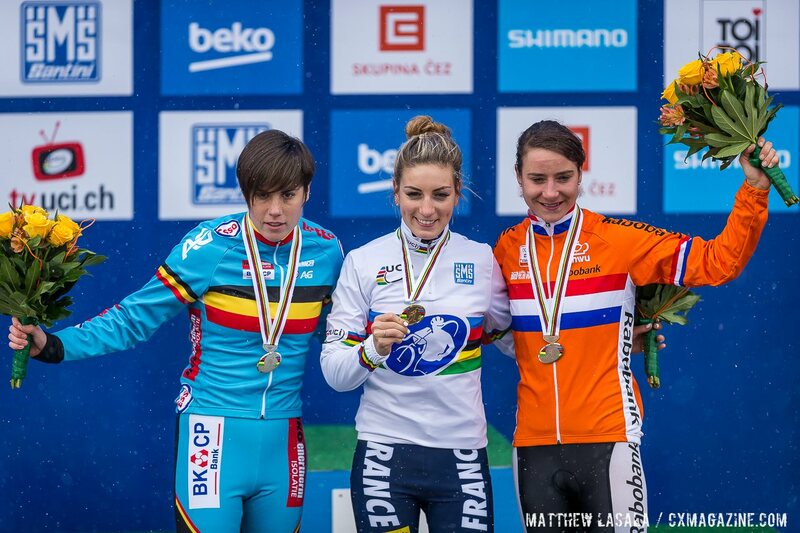 In the end, after a thrilling last lap battle with Sanne Cant of Belgium, France’s Pauline Ferrand Prevot took the gold, taking both Marianne Vos’s road and cyclocross titles in the 2014-15 season. The race began with Helen Wyman of Great Britain showing tremendous firepower from the starting grid. 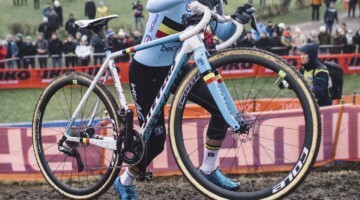 Eva Lechner of Italy, the winner of the World Cup in Hoogerheide, took a nasty spill in the first turn, breaking her derailleur and causing her to run to the pits with her rear wheel in hand. Lechner would go on to take the fastest lap on the day, but the initial crash all but took her out of contention for the podium. The Americans started strong, with many hovering around the top ten, including Kaitlin Antonneau, Katie Compton and Elle Anderson. Katerina Nash, one of the favorites to win today, was able to stay on the wheel of the leaders in fourth, although Wyman was quickly pulling ahead of the rest of the group. 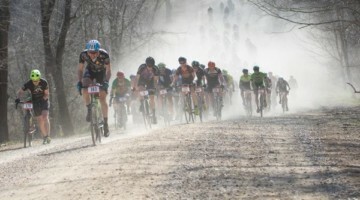 By the end of the first lap, riders were feeling the effects of the slippery course, with many taking spills around the corners. 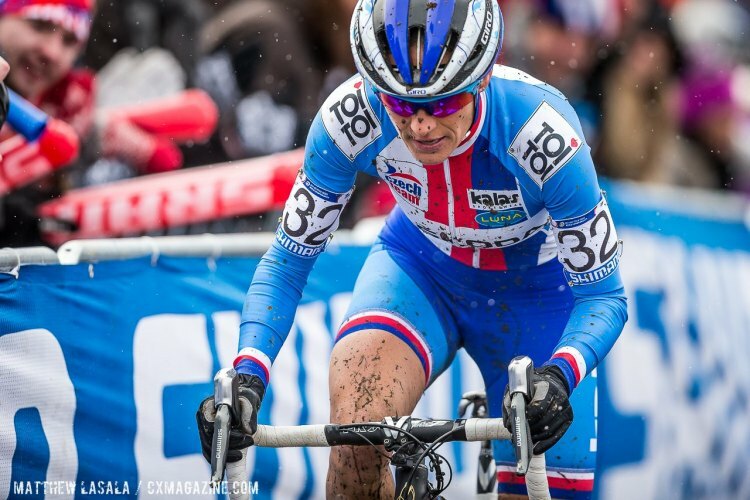 Lucie Chainel-Lefevre of France had clearly anticipated the changes in the course dynamics, both handling the corners well and putting in major digs to overtake Wyman and put herself firmly in first place. 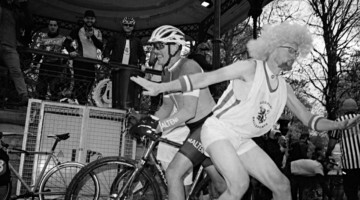 A chase group of five riders began to form, with Cant leading them, even pulling away from them at times, throughout the second lap. On one of the more difficult climbs of the day, during the second lap, the crowd had lit a flare, filling the section with smoke that the riders had to navigate around. 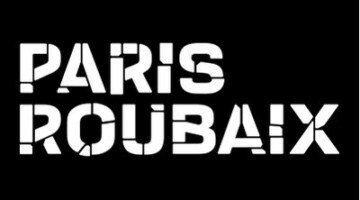 The French riders didn’t seem to mind, however, as Chainel-Lefevre was soon joined by Ferrand Prevot and the two of them maintained their lead over Vos and Cant. 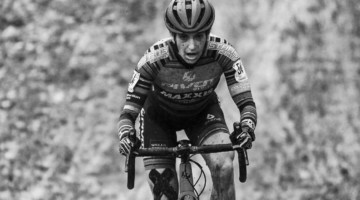 Nikki Harris was able to maintain her position with the chasers as Nash and Cant tried to catch Vos and the two French riders. 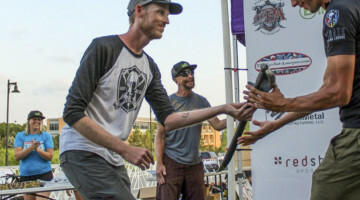 The leaders were all back together on the pavement, and Vos looked like she was comfortably managing the pack, leading the crowd to wonder if she could take her eighth world win despite a plaguing hamstring issue. 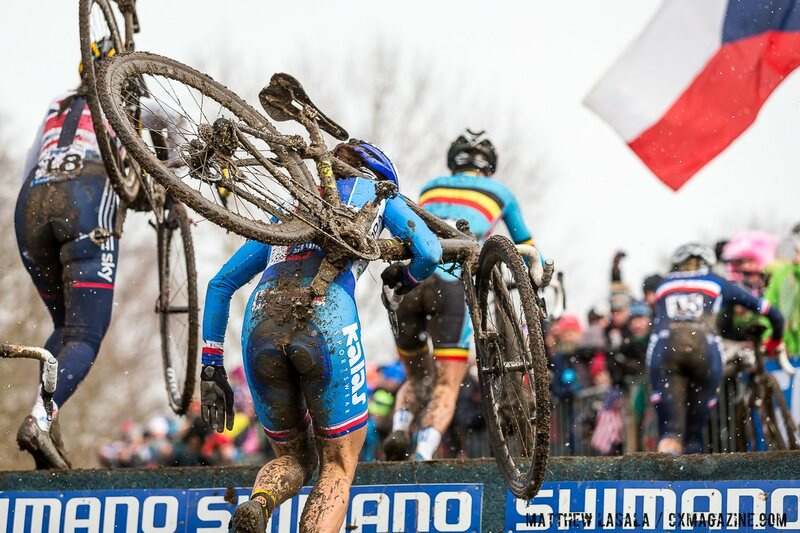 With less than three laps to go Ferrand Prevot set her biggest attack against the field. She seemed to have picked up many techniques from her Liv teammate Vos as the two were the only of the lead riders to take the inside lines and manage the rails with expert grabs. 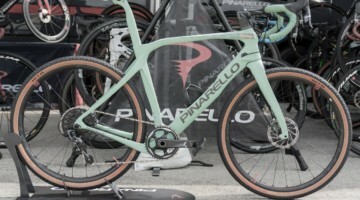 The other riders, especially Sanne Cant, seemed content to manage their bikes on the wide lines through the mud, where there were only traces of grass left. 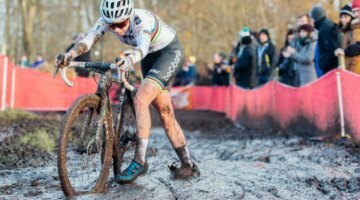 Yet of all the riders, it was Cant who was able to power her way up to Ferrand Prevot after the French National Champion slipped on a muddy descent. When Ferrand Prevot slipped again, and was forced to dismount, it appeared as if Cant would be taking control of the race until the end. 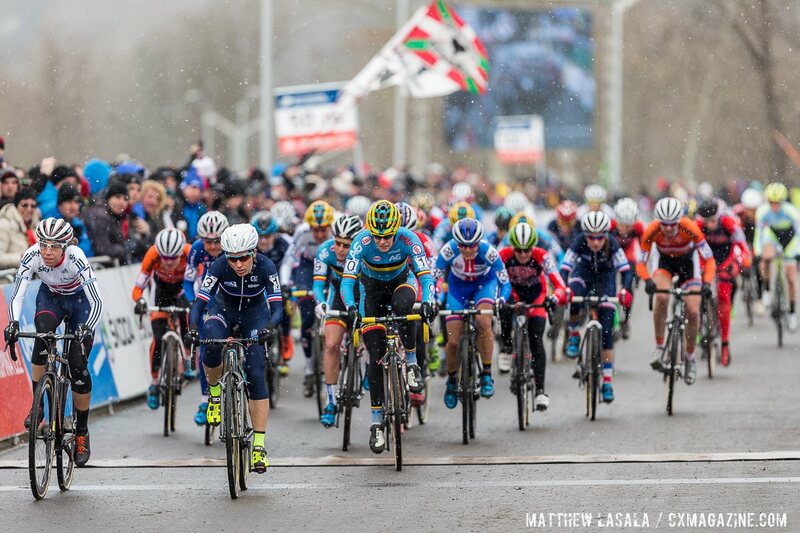 Behind them, Vos went on the attack, looking as if she would catch the leaders and leave Nash and Harris behind. The effort was nearly all the former World Champion had left however, and the Czech rider was able to catch back on and pass her on a climb. The attack and counter-attack by Vos and Nash left Harris looking almost depleted as she started to drift back. 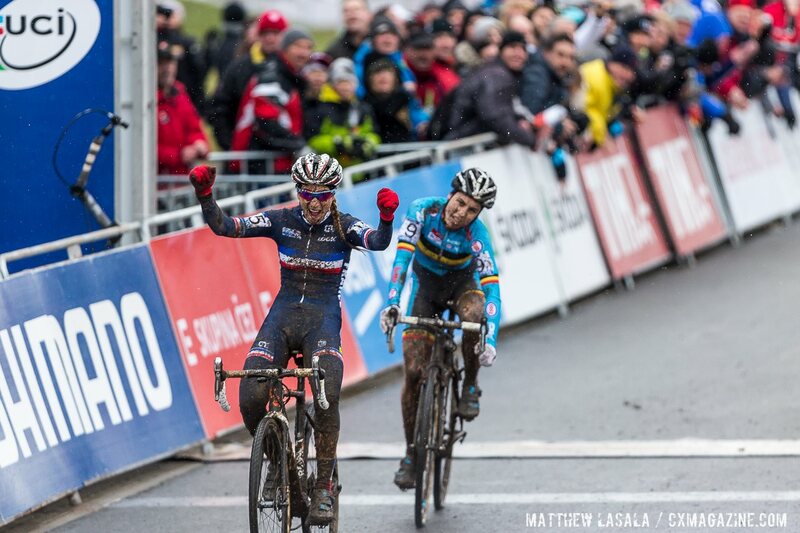 With a half lap to go, Cant and Ferrand Prevot continued to trade places in the front. Cant continued to take the outside line, and the French rider continued to make passes nearly every time she grabbed a rail and turned. 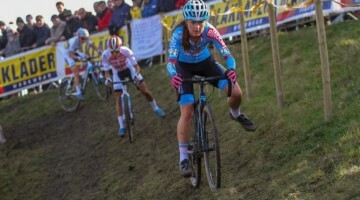 Cant seemed content to allow Ferrand Prevot to lead her out to the pavement, and those following the World Cup this year were instantly reminded of Cant’s sprint over Compton at Milton Keynes. Behind them, Nash took two spills on the course trying to aggressively keep herself in the position for a medal. 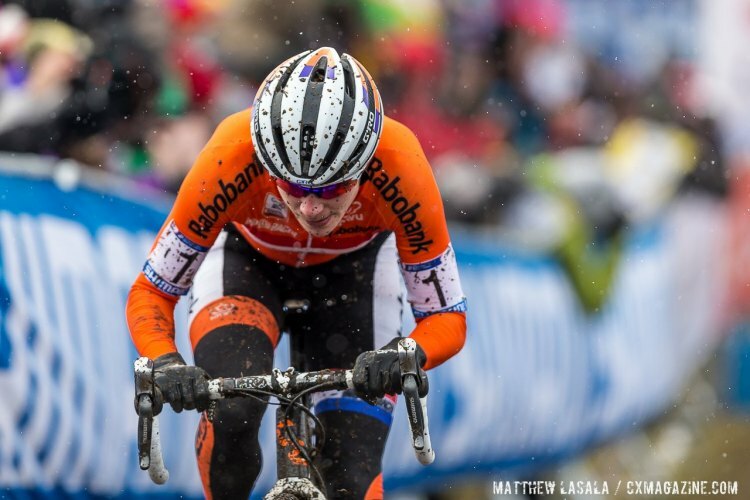 The first time cost her a place with Vos, and the second crash allowed Harris to pass her as well. Ferrand Prevot hit the pavement first, and Cant stayed on her wheel before taking the right side of the road and putting in her final effort. 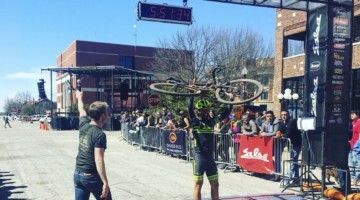 The World Champion of the road was able to prove her power on the home stretch however, and Cant could only hit her handle bars as she crossed the line at a close second. 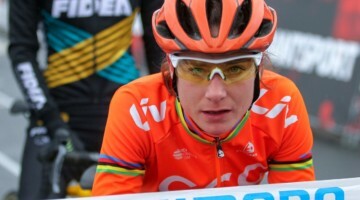 Marianne Vos crossed the line for third, her streak of six world championships finally coming to a close. She was followed by Nikki Harris in fourth and Nash a disappointing fifth place. The big ride for North Americans came by the legs of Canadian rider Mical Dyck, who rode a stellar race to finish 12th from a back row start. Dyck, methodically plowed her way through the field, passing every Team USA member in the process. 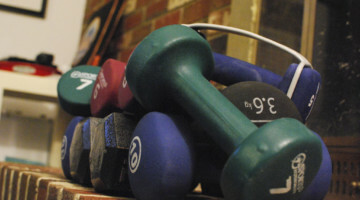 See our feature on Mical Dyck and the other Canadians here. 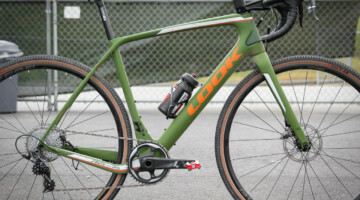 Dyck’s ride was also impressive in terms of her tires and wheels. 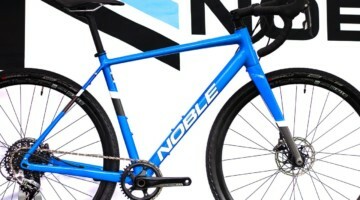 The Canadian, who is sponsored by NoTubes, told Cyclocross Magazine she rode Kenda Kwicker DTC tires tubeless, at 23psi. 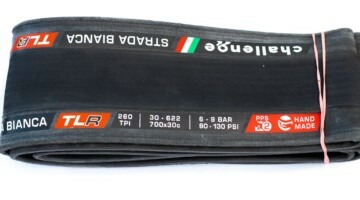 It’s an impressive result, on tires that can be purchased for $25, one fifth the average price of a tubular. 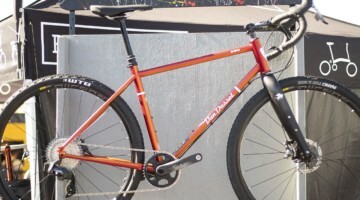 Her A bike had NoTubes Valor carbon rims, while her B bike had IronCross alloy rims. Antonneau finished the line first for the United States right behind Dyck in 13th, with Rachel Lloyd the next American at 20th. Katie Compton finished in 27th, a disappointment after hopes of a podium. 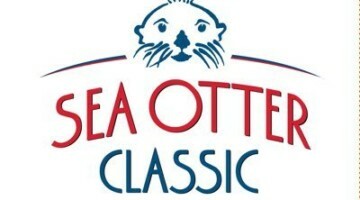 Crystal Anthony finished ahead of Compton in 25th, while Meredith Miller finished 38th, and Elle Anderson, after a strong start, fell back to 40th. 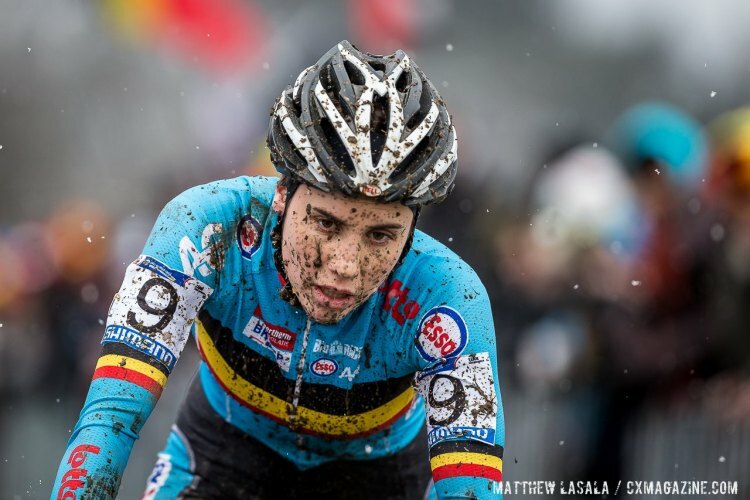 Caro Gomez Villafane, the first Argentine to ever race a Cyclocross World Championships, split the two Americans to finish in 39th. “The course became very slippery,” she told Cyclocross Magazine right after her race, “and that suits me. 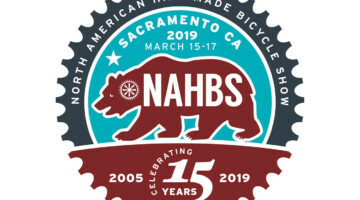 On the pre-ride I was falling a lot, but today I only fell once in a section I wasn’t expecting.” Immediately after, she reported that she was already ready to start training for next year and have twice as good a season. 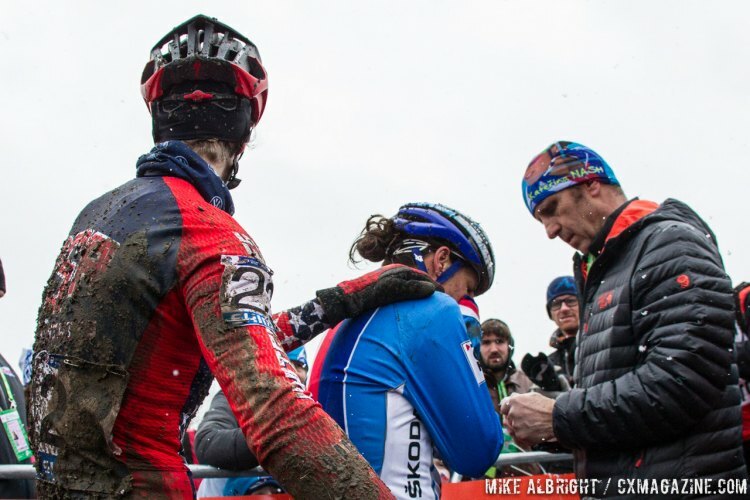 The British team had a better day than the Americans, with Harris’ fourth place, followed by Helen Wyman’s seventh. Rising stars Amira Mellor, (profiled here in November), finished in 28th, while Hannah Payton, interviewed after Milton Keynes, finished in 34th. See additional photos in our photo gallery from the 2015 Elite Women’s race here. 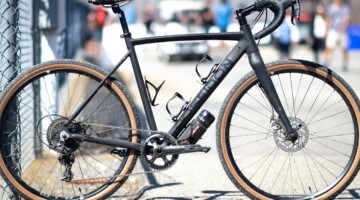 World Championships cyclocross bikes: Katie Compton’s Trek Boone 9 here, Katerina Nash’s Orbea/Ibis cyclocross bike here, and Ellen Van Loy’s Ridley X-Night here. 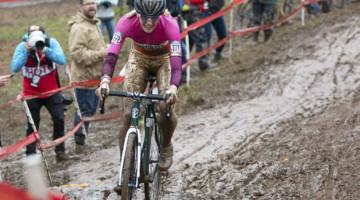 looks pretty muddy out there….hope we can see the men race tomorrow!!!!! That’s what you want to hear from the new World Champion……..
YESSSS! Go Pauline! Sounds like a spectacular race. 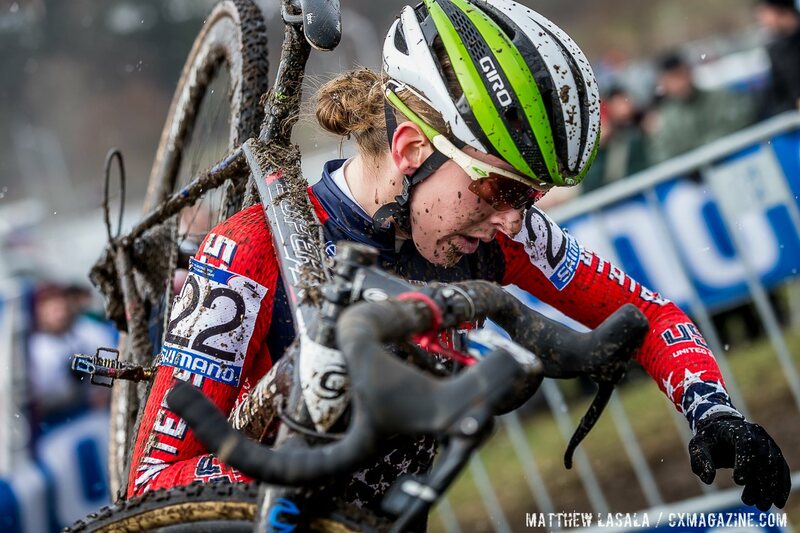 cyclocross kaitieantonneau shes WISCO strong nice work young lady! Way to go Kaitie Antonneau! Really cool! 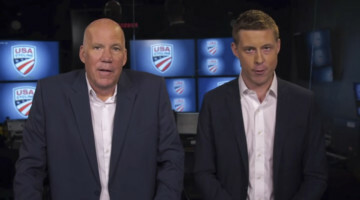 Great coverage but don’t you think it is time to at least MENTION Mical Dyck? At least once? Clearly you didn’t read. She gets more coverage than any American. Including her bike! yes, sorry, like any other news site, it’s a risk this weekend.